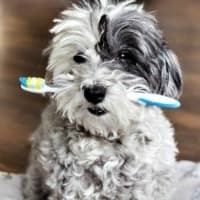 Puppy teething remedies can be very soothing for your little Rascal's sore gums because they're able to reduce inflammation and swelling, and ease his discomfort. Some puppies sail right through the teething stage without showing any real signs of distress, others get cranky and clingy because their mouths hurt. But all puppies get a natural, and irresistible, urge to chew on everything in sight when they're teething! This chewing helps make your Rascal's gums feel better and also encourages his baby teeth to fall out and adult teeth to grow in. 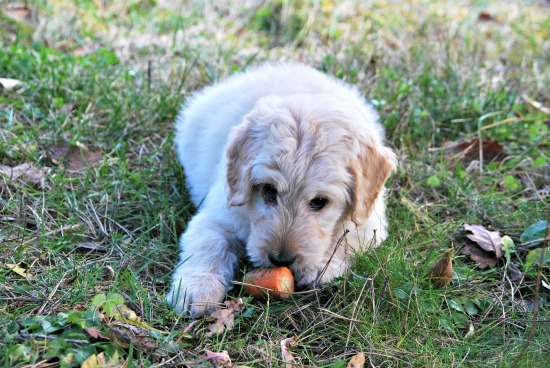 The best natural remedies for teething puppies use the application of cold, pressure, and anti-inflammatory properties to minimize swelling and pain. 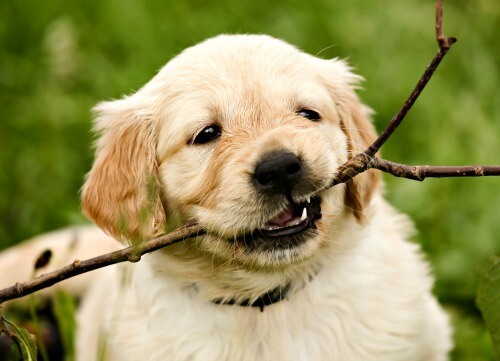 Teething is a natural process, and there are natural ways of helping your puppy through it. Applying cold to hot, itchy, possibly swollen gums, is very soothing and relieves both discomfort and inflammation. Of course little Rascal isn't going to sit quietly while you ice his gums for him, so you need to be a little creative (even crafty) in how you go about this. The best way is to take advantage of his strong desire to chew or bite down on things, which is at it's peak during the teething stage. Something tasty AND cold is going to get your little Rascal's attention and soothe his gums at the same time. And it's easy because all you need to do is supply the cold, crunchies! Be careful about allowing your puppy to chew on ice cubes. 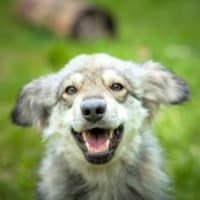 Puppy teeth are ultimately breakable, and chewing too strongly on something as hard as an ice cube could cause damage. You can minimize this risk by offering ice-chips, or breaking up the ice cubes before offering them to your pup. Although they don't taste as good as the frozen treats above, most puppies love to play with them and they can't really have too many! Another variation on the tasty cold stuff is to make puppy-friendly fruity ice-pops. Mix together mashed fruit (the choices are pretty much endless here), peanut butter and a little yogurt then put the mixture into ice cube trays and freeze it. Couldn't be easier, right? These ice cubes are generally softer than frozen water so your pup can chew them up more easily, and with less chance of him damaging his teeth. 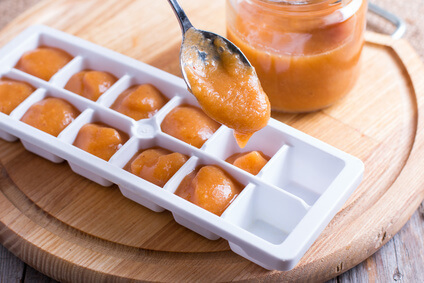 A tasty alternative to fruit is to make ice-cubes using low-sodium chicken broth, beef broth (or even vegetable broth). You can even take this one step further by combining the natural healing properties of Aloe Vera with cold temperatures. Just freeze Aloe Vera juice in ice cube trays, or ice-pop molds, and then rub them on your puppy's gums. Aloe Vera juice has been proven to reduce inflammation, ease pain, speed healing and much more. It can be applied topically and Aloe Vera juice which has been formulated for consumption can also be ingested safely. SAFETY TIP: Purchase your 'drinkable' Aloe Vera juice from a reputable health-food store or market, don't just try to use an Aloe Vera plant or a topical product! There's a natural-formula teething gel which you can safely use on your puppy's gums. It contains chamomile, peppermint and clove oil, all natural remedies which can reduce pain and inflammation. You won't find any chemicals, artificial ingredients or sugar in this gel, so it's totally safe for your little Rascal. A great way to soothe your pup's sore gums and give him some fun chewing time is to offer him a frozen face flannel/dish towel/small hand towel to play with. The trick that makes this work is that you must soak the material, wring it out, twist tightly or tie into large knot before freezing it. You can soak the towel in plain cold water or for a little extra 'zing' add some sodium-free chicken broth to the water you're using. 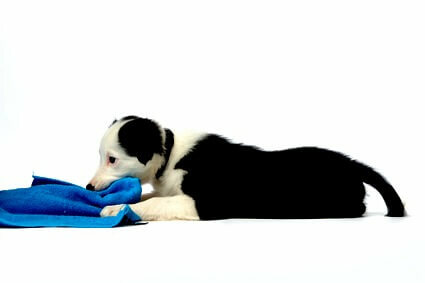 The size of the towel or fabric you choose depends on the size/breed of your puppy. Small breeds do great with a face flannel, medium or larger breeds enjoy a dish towel, for those XL or giant breed puppies a hand-towel works great. SAFETY TIP: Always supervise your pup while he plays with the frozen towel and remember to take it away once it's defrosted or your little Rascal will rip it up, and possibly ingest it, which is obviously dangerous! Chamomile is a herb which may be best known for it's calming effect, but it's also able to promote healing, soothe aches and pains and boost immunity. All of these can help reduce teething discomfort in puppies. Your little Rascal can reap the benefits of chamomile by drinking chamomile tea made by steeping one teaspoon of dried chamomile in one cup of boiling water. Allow the tea to cool completely, all the way down to room temperature or lower, before giving it to your puppy. Some puppies enjoy the taste and are happy to drink it up, others not so much. If you want to encourage your little one who's a little reluctant, try adding a little low-sodium chicken broth to his tea. Or you can even use a syringe to squirt some into his mouth if you want to. There are a whole range of toys which have been specifically designed for teething puppies, and can relieve discomfort while encouraging healthy dental development. Puppy teething toys need to be firm, flexible and safe (ie free of toxins, loose parts, appropriate materials etc.) but it's not always easy to know which ones fit these criteria. 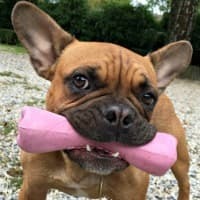 If your little Rascal is in the throes of teething, or just needs more safe, sturdy toys to exercise his jaws and sharpen his teeth on, check out the great selection on this page Puppy Teething Toys. 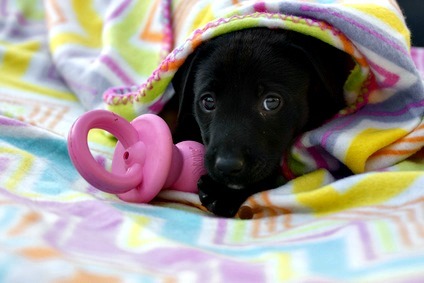 Not only will you find loads of tips and advice on choosing toys for your pup, but you'll also learn about the most common toxins, poisons and dangers found in many puppy and dog toys... and more importantly, how to avoid them.